Lately I have been seeing a lot of people walking and running with what looks like a fanny pack with water bottles attached, at first I thought they were weights, but later found out they were hydration belts. Great idea for the avid walker or runner, even a hiker might find this useful. What I didn't like was how small this was. This barely fits my 12 year old who isn't fat at all, and fits my 7 year old fine but she is small for her age, so like I said in the video on my Youtube page which you can find here https://www.youtube.com/watch?v=sH7Dl5mhV5I, I hope these companies start making products for the average to obese person to encourage them to get out and be active. This is great for both runner, hikers, walkers, sports, or even if you are out traveling so you have your water and money near by. The pouch is super roomy enough for your money, cell phone, and ID with a little extra left over. 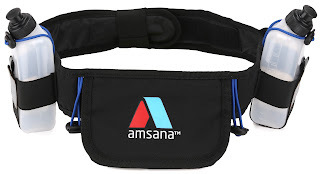 You can find the Amsana running hydration belt on Amazon. What Amsana has to say about their product. 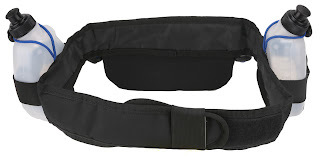 Amsana™ Hydration Belt - With Two 10oz. Drink Bottles & 6.5" Pouch - Fits waists 22"-36"
COMFORTABLE AND LIGHTWEIGHT - Made of high quality durable material that is extremely comfortable to wear. PERFECT FIT - The Velcro closure on the waistband is adjustable. This allows you to wrap it around your waist tightly so there will be no bouncing, jiggling or chafing. TWO LARGE BOTTLES - The two 10 oz. drink bottles allow you to store water or your favorite energy drink or both to keep you from dehydrating during your running sessions. The bottles are well secured and won't fall off. IDEAL SIZE POCKET WITH DIVIDER - The slim pocket with a front flap and Velcro closure is 6.5" - large enough to fit today's smartphones. The phone will fit snugly so it won't wobble while running. The divider provides space for credit cards and the like. WAIST SIZE - The belt is designed for slim runners only. The length of the belt is 36"so it will be perfect for anyone with a 36" waist or less.. The Amsana runner's belt is the solution to keep your water bottles handy without weighing you down. You could run with all your electronic gadgets. Listening to your favorite music has never been easier! 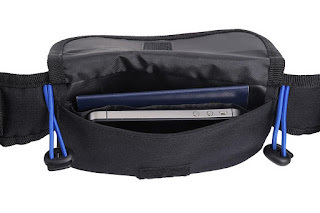 The pouch is designed to hold all sizes of phones from a mini iPod to iPhone 6. 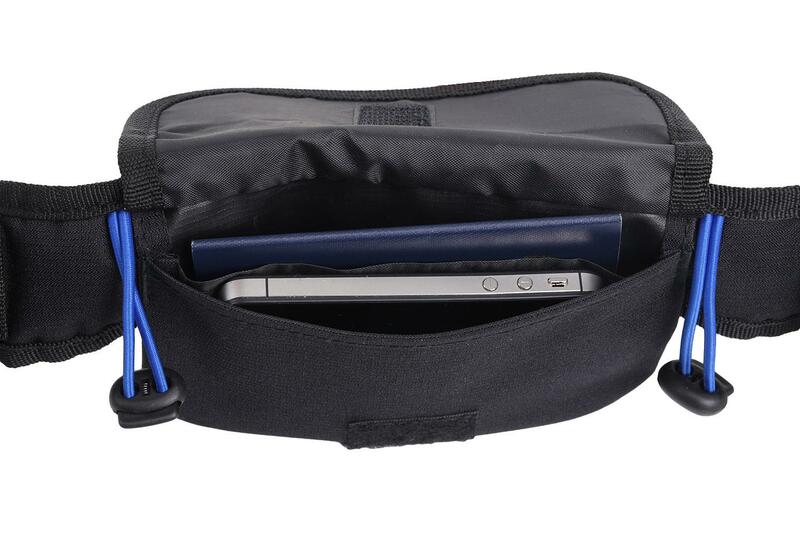 You also could carry your home or car keys, credit cards and even cash without a hassle in this pocket. The front flap with a Velcro closure will protect them for you.